BELLEVILLE – City council voted Monday to look at changing the way it enforces bylaws covering issues like property standards, noise problems, and garbage. Currently, a complaint must be registered with the city before bylaw-enforcement officers are called to investigate. Coun. Paul Carr proposed the motion to change how bylaws are enforced. He’s frustrated by the way things work now, he said. Coun. Mitch Panciuk told the council that the system is too slow right now. He would like to have the officers be more hands-on, he said. “I’d like to see the city enhance the service we provide to our citizens, rather than making them have to call in all the time,” Panciuk said. Both Carr and Panciuk told QNet News they don’t know how many calls the city gets about bylaw infractions, but that they get questions from residents about the system every week. Patrick Richardson, one of Belleville’s municipal bylaw-enforcement officers, said it’s hard to track the number of complaints because it varies depending on the time of year. For example, it’s not uncommon for Richardson’s office to receive 10 or 15 complaints a day during the summer for things like garbage and long grass, but during the winter those become much less of an issue, he said. Richardson said he is in favour of the city more directly enforcing the bylaws rather than waiting for complaints. “I think it would be a good idea if we could put that higher up on our priority list and get more proactive enforcement done in the city,” he said. 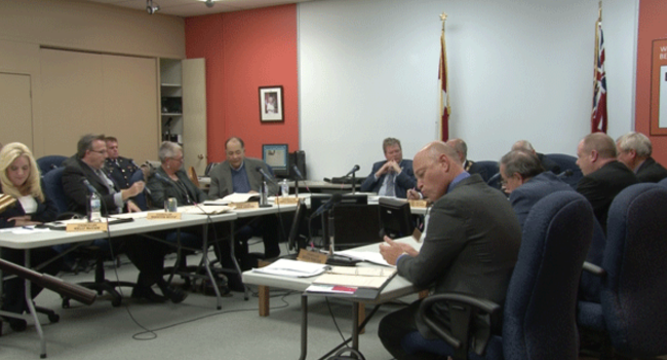 The bylaw enforcement department would have to relocate some resources and time if asked to switch to a more proactive role, said Richardson, but he doesn’t anticipate any major issues if asked to do so. City staff is preparing a report to go back to council.